Good news stories from the manufacturing sector are always welcome but even more so when it relates to a regional area that has suffered with high unemployment in recent years. Traralgon based DJN Switchboards is one such case. Established in 1994 by David Nabulsi and his wife, this specialist manufacturer of switchboards and switchrooms took advantage of the latest in pressbrake and fiber laser technology to boost their capabilities and efficiencies in this area. Polystar’s high efficiency Repro-Flex is made to be the world’s simplest operation system. Humanity has come a long way in terms of technology, but we have also been leaving behind a huge pile of… waste. And it’s not doing our environment much good. The new Yawei HLE & HLF fiber lasers have earned a reputation for high performance, coupled with a value for money price point. 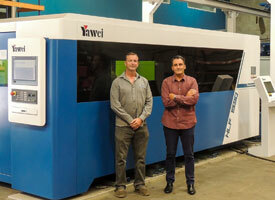 Sam Harris (General Manager – Ace Wire Works) first saw the Yawei at the Applied Machinery stand at Austech 2017 and compared the features with various other laser cutters in the market. The Yawei isn’t the cheapest fiber laser in the market, but in terms of value for money, it’s a clear leader. The population in Australia has been steadily increasing over the past few years, with international inbound migration comprising a majority of this growth. Plastic recycling refers to the process of recovering plastic waste and transforming it into functional products. Plastics recycling helps conserve energy, reduce plastic pollution, while also reducing the pressure on virgin materials to create new plastic products. Our appetite for the latest in technology is insatiable and constantly growing. Of course, we’re not alone in our demand for the newest electronics on the market, with most of the developed world joining us in this exciting quest. Nonetheless, Australia is one of the biggest consumers of electronics in the world, which adds up to 600,000 tonnes of e-waste annually. Your entry into CNC synchronised bending has never been easier. If you are new to the bending game, or have been running torsion bar pressbrakes for years, you might want to consider how a CNC synchronised pressbrake could be the perfect machine for your company. Austech Preview – Fibre Laser, CNC Pressbrake, 5-Axis CNC Machining Centre & more…. Austech starts next week in Melbourne, here’s a sneak peek at what you can expect to see from Applied. Yawei HLF fibre laser, Hurco 5-Axis CNC machining centre, Yawei PBH CNC pressbrake, Mitsubishi fibre laser zoom head, Akyapak section rolls, Cosen automatic bandsaw. Market conditions in Australia are changing, though at the core of it all, Australian companies are amongst the most innovative and resourceful in the world. We have seen signs of renewed optimism from our customers towards the back end of 2015, and it’s with this in mind that we think the following “Top 10″ will be where our customers will be investing their capital in 2016. 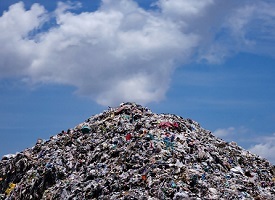 Moving towards zero landfill. AUSTRALIAN companies are making a big impact towards achieving zero landfill by using Genox recycling equipment. Genox universal plastic washing plants are high performance recycling systems for rigid or flexible plastics from various sources, including materials with high contamination levels. Our partnership with Genox provides us with the flexibility to customise the perfect plastic washing system to match the wide-ranging requirements of our customers across the country. New Hurco CNC Vertical Machining Centre boosts Custom Plenum Creations’ productivity and quality. Applied Machinery is pleased to report on a recent installation of a new Hurco CNC Vertical Machining Centre at Custom Plenum Creations in Wollongong, NSW. Our new 2014 range of Metalmax APB series have just started arriving in stock …. so we’re launching them early! Metalmax pressbrakes are perfectly suited for all general purpose bending tasks. With an impressive list of standard features and ultra-competitive pricing, it’s hard not to consider these machines for your next general purpose pressbrake purchase. A Bespoke Solution to a ‘Pressing” Issue. Machtech Hydraulic Mould Presses. After many years building strong relationships with our network of technology partners across the globe, it comes as no surprise that when one of our customers came to us with a requirement for a mould press that was outside the capacity of a regular machine, that it only took a few phone calls and production was underway on a made to order hydraulic mould press to get the job done. Our range of Genox equipment, whilst very well known across the industry had not been exhibited on scale before in Australia, so we made to decision to attend, and to promote Applied Machinery and Genox to the exhibition and related conference delegates in a massive way. Last night, Applied Machinery were proud sponsors of the “Marketing & Distribution” award as part of the second annual PlastixANZ Plastics Industry Achievement Awards dinner. Held at Melbourne’s world famous Kooyong Lawn Tennis Club, the event was attended by stakeholders and passionate supporters of the plastics industry in both Australia and New Zealand, along with the Director of the Australian Industry Group, Tim Piper. Genox Vision series single shaft shredders are the latest series of premium shredders on the market. Genox machines are well known across Australia for their quality, reliability and price competitiveness. They are well and truly Australia’s most preferred brand for most materials and waste reduction applications. The HPE servo driven series is the newest addition to the range of premium CNC Turret Punch Presses from Yawei Nisshinbo and Applied Machinery. JWELL Extrusion Line 1.6m diameter pipe in 500m lengths! Applied Machinery is the Australian agent for JWELL extrusion machinery. Our partners at JWELL have recently installed this huge line in Turkey and it sits alongside two European lines producing exactly the same product in exactly the same conditions for approximately 50%-60% of the start up costs. Applied Machinery is proud to represent Hermle in Australia. Hermle are all about milling. Their range of world class machines simply have to be seen to be believes. From design through to delivery, Hermle are world leaders. Slash Your Energy Consumption $ Government Grants May Apply! Take a look at the HPE series of Servo driven CNC turret punch presses from Yawei Nisshinbo and Applied Machinery. Servo drive CNC turret punch presses cut down power usage considerably when compared to hydraulic machines. New 152 Page Full Colour Catalogue – OUT NOW! It is with great pleasure that Applied Machinery can announce that we have been appointed exclusively to represent Takisawa Taiwan and their range of premium CNC Lathes in Australian. Genox Machinery – Granulators, Shredders, Complete Washing Lines, Recycling Equipment and more ….. Applied Machinery are authorised suppliers of Cosen bandsaws to Australian industry. We hold a huge range of saws in stock that are ready for same day delivery in many cases. Machtech 4 roll bending machines incorporate the highest level of technology and build quality. Utilising high grade carbon steel rolls with hydraulic control of position, the 4 roll system allows for prebending, thus perfect cylinders and cones can be produced in one pass. Ikegai Horizontal Boring Machine Save Hundreds of Thousands of Dollars. This Ikegai NB100T Horizontal CNC Borer was first installed in 2000 and is in excellent condition. New machine buyers should sit up and take notice. Save hundreds of thousands of dollars from new machine pricing. Mazak FJV 60/80, Mazak FJV-250 & Fanuc Robocut Alpha. As new & ready for sale. New Catalogue Get Your Copy Now! Applied Machinery Australia Australia is proud to announce the launch of our new series of panbrakes into the Australian market. 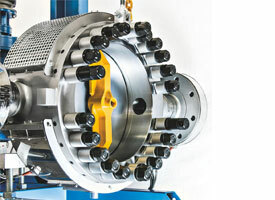 The EHPB series of hydraulic NC folders serve up a brilliant conbination of price, reliability and quality.